Fashion dolls and action figures that come with positive messages have become a major selling point of late and rightfully so! Companies like IAmElemental and Mattel’s Barbie have recently been introducing female empowered figures and dolls that are all about ‘being the best you’ to the very lucrative 6 to 16 year old female market and now, DC heroines including Wonder Woman and Batgirl are joining those ranks via a new line of fantastic fashion action figure dolls from Mattel. 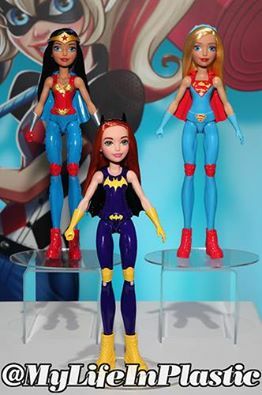 Among the bevy of empowered and positive female figures hitting stores is the DC Super Hero Girls that will see 6 well-known DC heroines and villains from Wonder Woman, Supergirl, Batgirl, Poison Ivy, Harlequin and Bumblebee released as collectible action figure dolls with several points of articulation, fabric uniforms and rooted hair. They are somewhat shapely like Barbie but stand half an inch taller than the blonde bombshell. The plan to diversify just what toys are offered to girls in toy stores is a big bold move that seems to sit well with both the kids wanting the items and the adults buying them . 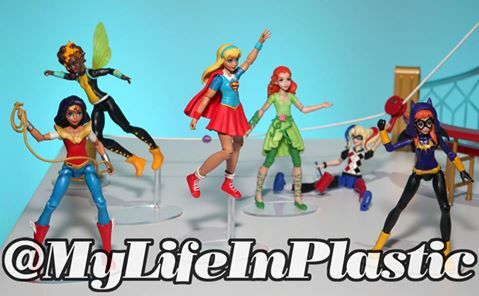 Mattel’s announcement of new curvier Barbie saw adult collectors snap up the shapelier dolls in the droves and with DC’s legion of fans behind them, Mattel could be sitting pretty knowing a second audience with accessible cash is eagerly awaiting these figures. A budget or cheaper version of these figures will also be hitting stores along with smaller plastic molded versions of each character. Hitting Target stores in the US first, word has it that here in Australia, KMart, Target and Big W will be stocking these figures and these could be hitting our shore as soon as March 31st so get your wallets ready! Depending on the popularity of the line, further releases including Katana, Catwoman and Hawkgirl could be announced. Find out more about the DC Super Hero Girls here. Do you have plans to collect the line? 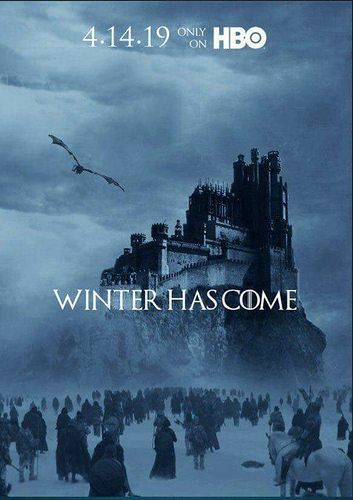 Want to see another heroine not listed released at a later date? Sound off in the comments above.